Oh Sunday. Day of roasts, rest and a place called Downton. Of course its not all about rest and recuperation. It can be about the grooves and none will come finer than those this weekend when Sunday Garden present an evening with the ever soulful, ever sweet sounds of Sarah Favouritizm. 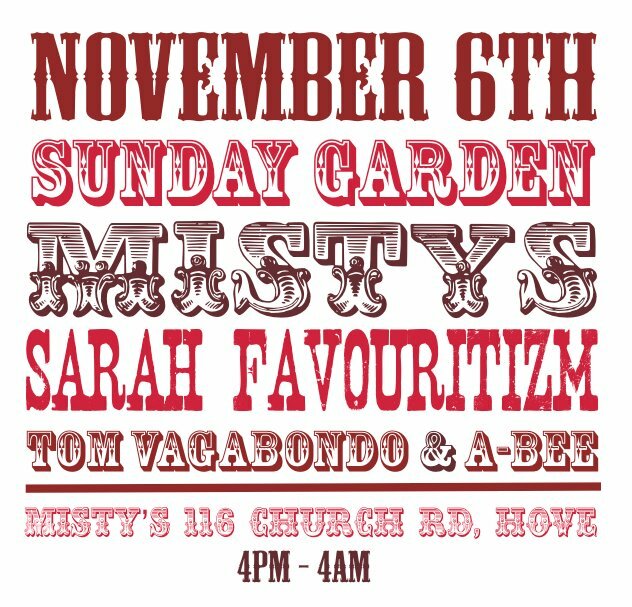 Alongside local heroes Tom Vagabondo and A-Bee Sarah will be impress the Sunday lovers and then some. If you appreciate your music classy there’s only one destination this weekend. Sunshine music for the misty ones.